Main image is from an old CD by Joanna Sheen 'Floral Fantasy', torn and mounted on an embossed pink card. I have embellished with a sentiment from Anna Griffin, coloured paper lace and a few pink pearls. What a gorgeous shade of pink Tess. I love your background paper - is it a handmade one? This is beautiful Tess and so nice to see an older CD being used. I did look at this CD myself but then decided to use an image I had already coloured. 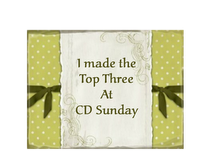 Thanks for joining us at CD Sunday this week. This is lovely Tess. 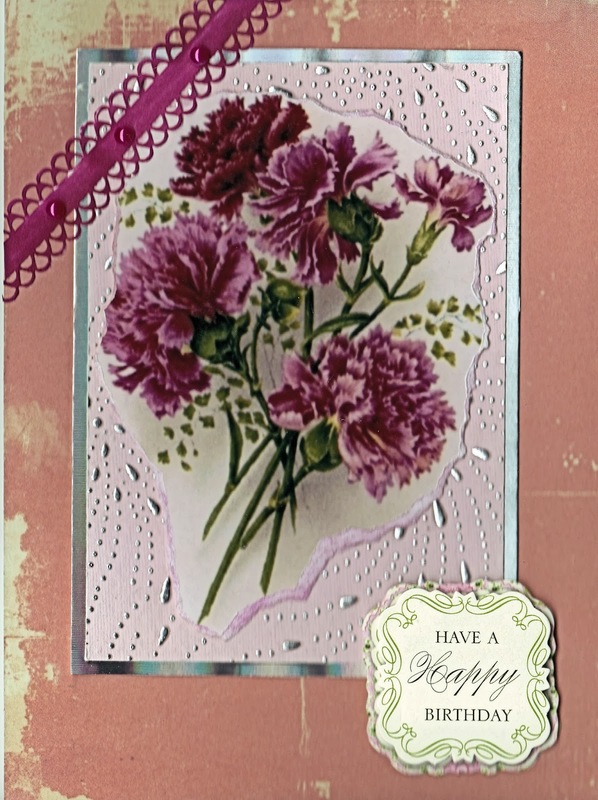 I keep thinking that I should make some cards with flowers on. Love the colours. Beautiful card Tess, some of my favorite flowers too, thanks for joining us at CD Sunday this week. This is gorgeous Tess. It's a beautiful main image and that embossing pink card looks amazing.